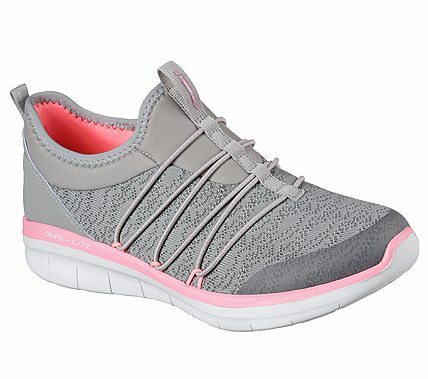 A comfortable favorite gets a tech upgrade in the SKECHERS Synergy 2.0 – Simply Chic shoes. Soft knit fabric, synthetic and smooth leather upper in a slip on athletic walking sneaker with stitching and overlay detail. Air Cooled Memory Foam insole.